August 1998: Permaculture for Third World and Indigenous Peoples Course, Djanbung Gardens Permaculture Education Centre, Nimbin, NSW. Subjects included: Appropriate training and facilitating techniques for developing countries, appropriate development ideas, technologies and strategies for projects, training on agriculture crops and techniques in developing countries. 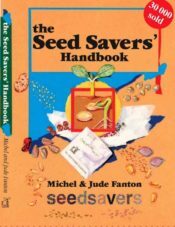 Work Included: Managing volunteer workers, managing garden maintenance, training small workshops, tour guide, office assistance, sales assistance, training support for Permaculture Design courses. Training included: Eco-village Design/Community Development course, Alternative Building Course, Native Bush Foods course, office and sales skills, general property management skills. 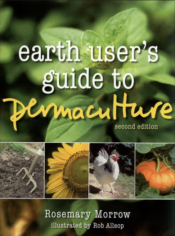 After completing my Permaculture Design Course in 1994 I simply wanted to integrate permaculture into my everyday life. For the next 4 years I spent my time implementing permaculture design and techniques wherever I lived. While I was living in Adelaide, I lived at 3 different properties where I created and helped implement permaculture designs: a 1/3 acre block and a ¼ acre block in Hawthorndene (Adelaide Hills) and a 10 acre block south of Adelaide at Blewett Springs. I was also a member of the Mitchum Hills Permaculture Group, Adelaide. We had bi-monthly education meetings and practical workshops involving learning more about techniques and designing, implementing and maintaining the gardens of the members. The group also gave permaculture workshops and garden tours for the general public. During these 4 years I also traveled extensively around Australia and WWOOFed at many properties in South Australia, Western Australia and Tasmania. In July 2001, after 12 months of intensive permaculture education described above, I traveled to East Timor to volunteer on Permaculture trainings and projects with Steve Cran and Ego Lemos. This work started as a volunteer support trainer on Permaculture trainings with Steve and Ego, and culminated 7 years later with a Permaculture Trainers Resource DVD produced with IDEP Foundation in Bali, Indonesia. Along the way I helped set up Permatil, a highly successful East Timorese Permaculture NGO. It was an amazing journey where I learned far more than I taught and worked in areas that I never dreamed of before leaving for East Timor. Below is a brief description of this journey, which will hopefully provide an insight into how Permaculture can be integrated with development work, with traditional cultures and low income societies. 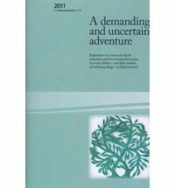 There was no books or booklets about Permaculture or even organic agriculture specifically for East Timor and its climate and topography. There were no books about Permaculture or even organic agriculture in Timor’s national language, Tetum, and no books about Permaculture in Bahasa Indonesian. Access to Indonesian books or information about organic agriculture was also extremely difficult. Permaculture activities in East Timor needed reference materials to strengthen the work already undertaken, provide new staff with reference materials and provide students with ongoing support. Literacy levels in East Timor are very low (less than 50%). This showed an obvious need for books that can help improve literacy rates, but also a challenge of providing a book that could be understood by people with very low literacy levels. After talking with Steve and Ego, we agreed that I would take on the project of writing and producing the book, with support from Ego, Steve and other Permaculture workers. In December 2002 I secured funding from 5 different NGOs to write, illustrate and publish a Permaculture book in English, and Tetum. 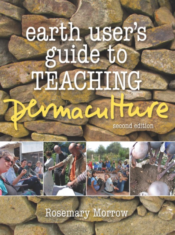 The guidebook was written with the idea to explain Permaculture and the techniques in a practical way, with explanatory pictures and diagrams, so that readers could use the book to understand and practice how, why and when to implement techniques. It was also important to make it completely relevant to East Timor’s culture, agriculture background, resources, climate, topography, incomes, transport availability, economy etc. Reference appropriate books and internet sites to ensure that the information was as accurate as possible. The written content for the guidebook took 2 years to complete. (It wasn’t my only job) During this time each chapter was edited and updated many times by myself and others, especially as I learned more about Timorese agriculture and what permaculture techniques were relevant or not, and what was working or not. The Permatil staff made the decision to publish the book in Indonesian and English, rather than Tetum, because at that stage most literate Timorese could read Indonesian but very few could read Tetum. By this stage the funding for writing the guidebook had run out, a few extensions were given but it was left up to me to finish it or not. The funds for printing the book were still secured. The donors were generally very supportive but couldn’t justify further extensions, as the project was very overdue! In hindsight, my naivety in how long the book would take to complete, how big it would get and how to properly budget for it created problems, but it was a big and important learning curve and if I knew the scope of the project I may not have started it. After 2 years we finally started the illustrations and diagrams. By this stage I had already developed a good relationship with a local art school called Arte Moris (Art Alive) and we had started transforming their school grounds of approximately 2 acres from bare sand and weeds with a few trees into a “Permaculture Sculpture Garden”. Photos are attached. First I would explain the concept and/or technique and what we wanted to explain to the reader. The student would then draw the picture/illustration/diagram in pencil. The pencil sketches were edited and corrected when necessary and then the students would create the final sketch with black drawing pens, removing the pencil lines once the ink was dry. Ego also helped with the editing process whenever he had time. This process took 5 months to complete the approximately 1500 pictures used in the book. All of the pictures were drawn bigger than what would be needed in the guidebook to improve the final picture clarity. Overall the process worked very well and the students are now very knowledgeable about Permaculture. 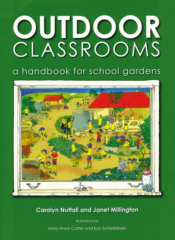 An unexpected result of the guidebook is that the students are now expanding and maintaining the school gardens on their own, and also using many techniques on their family land and houses! We also got some other students to draw creative borders and images, using cultural symbols as well. This has had the effect of making the book much more beautiful and engaging for readers as well as adding to the “ownership” of the book as being specifically about Timorese for Timorese and by Timorese as much as possible. As the chapters were being finished, each picture had to be scanned, edited and saved on computer. To save time, many small pictures were drawn on 1 page. We found that photocopying the pictures before scanning greatly improved picture clarity. By the time the pictures were finished, the translation to Bahasa Indonesian was also complete. Oxfam GB’s Indonesian Office as in-kind support generously undertook this. During the whole process, protection of the work was essential. All data was constantly saved and backed up on CD, in multiple computers and in Oxfam’s server. I had heard of too many stories of people loosing data to risk it, especially after 2 to 3 years of work! We had pre-arranged to work with IDEP Foundation in Bali, Indonesia to complete the graphic design and guidebook layout. This was because of their experience in graphic design and work in Permaculture education. Ego joined us for the 1st week to help decide on the rough design style. Then after learning the basics of graphic design, I did a rough layout of the guidebook, chapter by chapter. Petra, IDEP’s coordinator and main graphic designer, then edited and tidied up the layout with me, “professionalizing it”. I thought that by this time the guidebook would be ready for print but my naivety again got the better of me. It took another 6 month before we finally printed it. Permatil had many other projects on the go, but we also had final editing, layout and pre-printing work to complete on the English version as well as layout of the Indonesian version. Asatu, a Timorese graphic designer, and Anastasia, an Australian volunteering with Permatil helped a lot during this process. Finally, the books were printed in East Timor in December 2005. After a long break and other work with IDEP Foundation we obtained funds from Oxfam Australia to translate the guidebook into Tetum and re-publish it. We also took the opportunity to improve the layout. Permatil staff undertook the translation and editing in Tetum, with Ego, Herminia and Lino doing most of the work. It turned out to be a good opportunity for the staff to learn more about permaculture, especially for Herminia. I focused on the design and layout, which improved a lot with all of the practice, and the final Tetum spell checking/editing with the rest of the Permatil staff. We also got a few new illustrations from the Arte Moris students. We printed the Tetum version and a new English version in April 2008, only 5 ½ years after first starting!!! So far the results have been very promising. We ran socialization workshops to help publicize the guidebook, it’s contents and uses, and how to use it. Word of mouth has also helped a lot in terms of the guidebooks reach. Over 1000 books have been distributed or sold in Tetum, Bahasa Indonesian and English. However by far the most important guide to success is whether it is actually being read and used. So far, foreigners in Timor have read and used the book in many ways and a lot have been bought to take and use in other countries. Timorese results have been much more mixed but still very encouraging. Permatil staff have found the book very helpful for their own referencing and when working in communities. Most Timorese are initially reluctant to read it given how little books have been read in East Timor historically, the low literacy levels and the size of the book. Once encouraged to look through it though, most people connect quickly with the illustrations. And when people are shown how to use a reference book, with its extensive contents page, glossary and reference sections, and that they don’t need to read it front to back, the initial reluctance usually subsides and is replaced with enthusiasm. Another important factor is that it is written specifically for Timorese, especially rural Timorese, and when Timorese realize this, their use of the book increases quickly. We understand that the steps to widespread use in Timor will be slow and could take many years. Most NGOs and many community and farmers groups have been very keen to use the guidebook, as have some universities. Unfortunately the government have so far been reluctant to use it even though we made sure to be apolitical and government friendly in the book. The Agriculture and Education departments especially have been hard to work with, though we have been told this is a reflection of their attitudes and work generally, not of the usefulness of the guidebook as a technical, educational and literacy tool. Hopefully this will change. Overall, more education on how to use the guidebook will help a lot. More practical demonstrations on using the book to try techniques in the field will also help. And as literacy levels improve this will also lead to increased demand. The general feed back is that the techniques and information have been well received, and are on an appropriate level for the people we aimed the book to, and useful for East Timor. It is also easy to understand for most people. These results are very pleasing and justify the long time frame for creating the book. We are planning a review of the guidebook and its contents, before staring work on an updated international version. On a different but still important note, the book has become a great fundraiser for Permatil. The money raised from book sales is used for funding other projects or for republishing books in the future. During the writing of the guidebook we also printed an A5 size 40 page illustrated reader. This idea originated due to concerns from Oxfam’s gender officer that many women would not be able to read the guidebook – women’s illiteracy rates in East Timor is much higher than men especially in rural areas. Permatil and Oxfam initiated the concept then Sasha Earle, a student on a Permaculture course in Timor and volunteer there, coordinated the project utilizing Permatil’s knowledge and Arte Moris’s artistic talents. 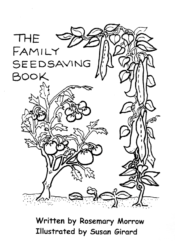 The reader preceded the illustrating and printing of the guidebook and covered the aspects of home gardening using Permaculture techniques. The artwork was extensively field tested to ensure that people could understand the concepts that the illustrations were conveying. This gave us confidence and groundwork for the illustrations for the guidebook. It was very successful as a handout at trainings to help reinforce the techniques. Many other farmers groups and community groups used the readers as well. Another idea that had been brewing for a few years was to create illustrated flipchart sets to use for training. Due to lack of time and funding it was put on hold, but after the illustrations for the guidebook were finished we realized we had the basis for the flipcharts. Again Oxfam generously provided funding and Anastasia and Asatu, who both also helped on the guidebook, took on the project. I helped as technical and concept advisor but was still busy finishing up the book. In November 2005 we printed 12 sets of A0 size flipcharts with 10 flipcharts in each set. The sets followed the chapters of the books and were designed to be a trainer’s helper for explaining techniques. In 2007 I updated the flipchart sets, improving the layout and, with Ego’s help, reviewing and updating the contents. We printed a further 5 sets for Permatil and 3 other NGOs with sustainable agriculture and livelihoods programs. We have found that the flipcharts, whilst being a valuable resource, were not as useful as the guidebooks or illustrated readers. This was also the case in Indonesia. The main reason for this was a lack of confidence by the trainers to use the flipcharts. This stemmed from never being exposed to trainers using them before (a very rigid, authoritative and talk heavy education system in East Timor and Indonesia), and not understanding how to include them in training sessions. Some trainers thought they had to follow the flipchart sets picture by picture. Using them myself, and showing how they could be used in combination with other training techniques to become part of the training helped these problems. Also just by having them as an occasional reference to expand on certain points. However further familiarization of the flipchart contents and how to use them is needed for the flipcharts to be used to their full potential. Since November 1999, Steve Cran worked with Ego Lemos and a few other Timorese and foreigners, primarily giving 2 week training courses to Timorese farmers, NGO field staff and government workers. I first joined with the trainings in July 2001. This worked very well to introduce the concept of Permaculture to East Timor and to introduce different techniques that could be implemented. The trainings became more and more practically oriented over time, to suit the situation and needs of the participants. Permatil was initially called East Timor Permaculture Research Institute then was (thankfully) shortened to Permaculture Timor Lorosa’e. It was officially a local NGO to be able to receive and distribute donations of tools, seeds and much more and to give trainings, but didn’t function as an organization. In December 2002, I started writing the guidebook. Steve started working on his own projects and Ego was very busy giving trainings and consulting on various projects. Over time he established a small team of volunteers that worked with him and were learning about Permaculture. During the formation of the book, I was also occasionally doing trainings and program consultancies for other NGOs. 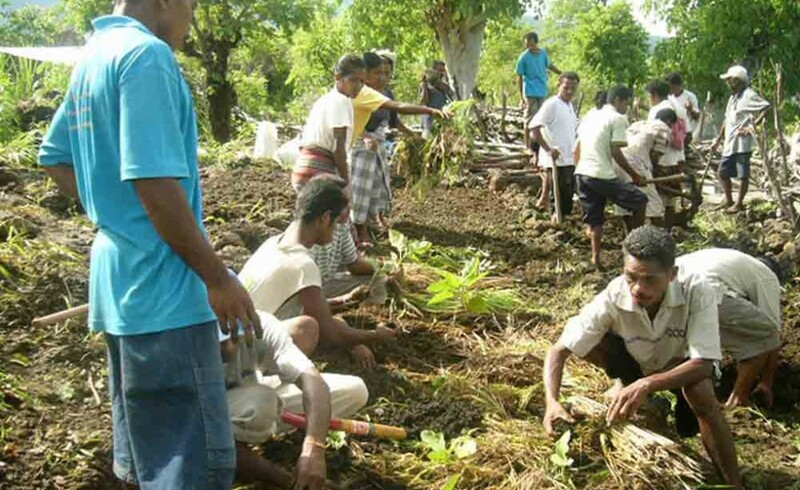 Between us all, Permaculture continued to become more established in East Timor. At the end of 2004, we agreed that it was time for Permatil to become an organization. This was so that more effective trainings could be given, better partnerships could be established and to promote more Timorese Permaculture trainers and field workers. On a practical level, Permatil needed core funding to be able to have an office and administration workers to support the fieldwork and provide the necessary financial reports, budgets and progress reports for transparent and effective partnerships. It also provided much more stability for field staff. In January 2005, I participated in a 3 day strategic planning workshop with Ego, Timorese permaculture volunteers and potential workers. This was the creation of Permatil, but in reality a continuation and natural progression of the work from 1999. One of the most important progressions in Permaculture work in East Timor was a shift from 2 week courses to many small courses with follow up work. This became established with the creation of Permatil but had been slowly been implemented and used for the previous 2 years. The partnership program that we now have evolved for a couple of years before Permatil was established, to a basic framework, and continues to evolve today. Now, Permatil endeavors to work with groups for a minimum of 1 year, preferably 2 – 3 years as a base, then to continue to maintain contact after that, with further trainings and technical support as is appropriate. Each year we try to run 3 – 4 trainings, each training with a particular subject. (E.g. introduction to Permaculture, home gardens, nurseries and seed saving, clay cook stoves, solar food driers, animal and agro forestry integration, System of Rice Intensification (SRI), annual crop production techniques, aquaculture systems and so on) While the trainings are separate, each training revolves around Permaculture systems and each training is looked at another piece of a larger picture, so together all of the trainings together provide a holistic picture and the practical demonstrations all fit together into an overall design. The trainings range from 1 to 5 days depending on the content. Between the trainings monthly field trips are undertaken, usually for 2 to 3 days each, to answer questions, provide encouragement and technical support, and plan for future trainings. It is also to gage the success or failures of various techniques, which is not necessarily whether the technique is successful but whether community members are continuing to use it/copy it or not. Permatil is a very well respected and successful Timorese run NGO in East Timor. Since its inception it has been run by Timorese and its programs developed by Timorese. Myself and other foreigners have played advisory and support roles and have helped with the creation of Permatils many educational resources (Permatil also has 4 short films, posters and a music CD to go with the guidebook, reader and flipcharts), but importantly, it is driven by Timorese. Permatil staff are passionate about Permaculture and its importance in improving East Timor’s quality of life and environment. There are now over 10 staff and volunteers. Permatil has provided trainings for many NGO sustainable agriculture programs and staff, farmers groups and community groups in every district of East Timor. It also has 2 ongoing demonstration sites. My time with Permatil has been rich and fulfilling and hopefully will continue on various levels in the future. As well the work already described I also learned how to write proposals, reports and budgets, manage programs and develop training curriculums and much more. Most of this I had absolutely no idea that I would be doing it before I left for East Timor! Just as important though was living in another culture and learning about it and about myself through living there. Seeing the struggle of day to day existence, but also the joys of life there too. Learning another language was another big step for me, especially when I got to the stage of providing training in Tetum. I also learned so much practical agriculture and living knowledge. This extended to simply being able to utilize the materials around me at any particular time. It was a big change from applying Permaculture in Australia, where we have ample back up systems, to helping Timorese to apply it to the agriculture they depend on and in their homes and lifestyles where it has direct impacts on health and livelihoods and wellbeing. Now, with things even more urgent in Australia, I feel that I am much better prepared to act with the urgency that is needed. Most importantly though, I learnt about the strength of community. I was already practicing it in Australia before I left for East Timor but only to a small degree. 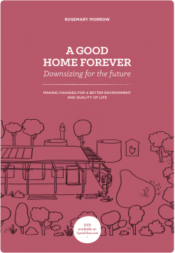 It wasn’t till I lived there that I realized just how much we in Australia have lost and how important regaining strong community will be in shaping our sustainable, localized future. We can’t do it without strong community. During the writing of the guidebook from East Timor, I spent 2 months in Ubud, Bali working with IDEP Foundation to create the initial design and layout. Permatil agreed to a partnership with IDEP so that they could adapt and republish the guidebook in Indonesia, in return for their fantastic help on the guidebook from East Timor. IDEP Foundation initially was created to work in the fields of Education and Permaculture, and has since expanded to emergency relief work and community based disaster management (CBDM). In May 2006 I went to Indonesia to work with them. Over the next 2 years I worked about 12 months in East Timor and the other 12 months in Indonesia, mostly in Bali but with 2 trips to Aceh as well. Initially I helped with a workshop to review the guidebooks contents with a team of Indonesian experts from various fields including some with Permaculture backgrounds. The results were very positive about the guidebook and its usefulness. Mostly its was kept as is, but with many small technical or example changes to make it appropriate for Indonesia. A few new ideas were added, and the order of the chapters was changed as well. The guidebook was then translated and formatted by the IDEP team and published a few months later. IDEP has a larger team that was growing quickly, especially their Aceh program, and decided that it wanted a facilitators curriculum to go with the guidebook. Some work had already been done, mostly on the format for the book, but it was still in the starting stages, so I agreed to write the curriculum with them. The format of stand alone lesson plans was used, with the lesson plans following 3 general formats of presentation, creative thinking and field activity. Each lesson plan has a brief outline of Method used, Tools needed, References available and Objectives of the lesson. This is then followed by a detailed description how to run the lesson and of what information could be included. An end section includes information on end of course design activities and follow up work. Throughout the facilitators curriculum we emphasize many times that this is only a guide and that it is better if the facilitators mix the information with their own knowledge and techniques. It is also up to the facilitators to pick and choose the lesson plans that best suit the training and the participants needs. The facilitator’s curriculum only took 3 months to write initially. I wrote the chapters and then Petra, IDEP’s coordinator, would edit them with me to check technical content, readability and usability. The book was then edited for spelling, grammar etc. The IDEP Permaculture team filled in the many tables of examples and then the graphic designers did the formatting. The facilitator’s curriculum was printed in late 2006. Another book developed by IDEP was also printed to complete the set, a resource book that includes creative facilitating techniques and games, information handouts, monitoring & evaluation techniques and reporting techniques. These 3 books form a comprehensive set of information for trainers and field workers who want to deliver effective permaculture trainings and projects. Each book also acts as a stand-alone book in their particular fields. The guidebook, facilitators curriculum and resource book are printed in Indonesian. They were initially printed to provide the necessary information required for IDEP trainers in Bali and Aceh and to partner NGOs, farmers groups and community groups. The teams have used them extensively, which has been very pleasing, and they are generally able to understand and use the information without help or advise. The higher levels of literacy and use of books in Indonesia partly contributes to their increased use. Instead of selling and distributing hard copies of the books, IDEP decided to put the books on their website available for free download in English and Indonesian. This was done, with my and Permatil’s complete consent, because we are trying to allow people to have more control over positively changing their lives and have access to the necessary information. The results have been way beyond what we thought possible. The books are downloadable by chapter instead of by the book because of the slow internet speeds in Indonesia. From April 2007 to May 2009 there was 306 782 downloads of chapters from the Guidebook and the Facilitators Curriculum! (Each book has 13 chapters) Most of those downloads are in the Indonesian language. Power to the people! IDEP was keen to keep going with the resource creation and create a Trainers DVD. Petra has extraordinary vision and persistence and IDEP has many talented and creative staff so on we went. With Permatils permission we reworked the flipcharts (yet again) to improve the layout and style, translate it and change it into power point and PDF format for the DVD. Posters were made from selected larger pictures from the book. These were coloured in by a Balinese artist and the results are stunning. The posters were printed for use in the field in Aceh and added to the power point sets for the DVD. To add to the trainer’s resource kit we also wanted to add a series of photo slideshows. To link with the Facilitators Curriculum we made a slideshow for each presentation in the book. This turned out to be a lot of work, 85 slideshows in all!! We wanted to show local examples of permaculture, so as many of the photos as possible were from East Timor, Bali and Aceh. The slideshows are very easy to use and have brief explanations included for each picture. It is also easy to pick and choose photos from the slideshows as is needed. IDEP gained permission from a local documentary maker to include some films about environmental issues in Indonesia on the DVD. These help to highlight different relevant issues and provide night time entertainment for participants and trainers during fieldwork. IDEP also included a film they made about the Aceh project, short but inspiring, with lots of information too. IDEP have also made a kids education DVD, on which we have included a permaculture based kids colouring-in book. It is a 40 page book that can be printed as an A3 or A4 book and includes many pictures that can be coloured in, blank pages for their own drawings and many games. The pictures to colour in all come from the original Permaculture Guidebook from East Timor. The DVD is set up like a simple website which makes for easy use and all materials and information is available in Bahasa Indonesian and English. The DVD has not yet been widely distributed, but has been given to the IDEP teams in Bali and Aceh as well as to Permatil. All 3 teams were given lessons on how to use it for trainings and workshops. Even though the staff showed a good understanding of how to use the DVDs and what the DVD included, uptake has been slow. We had a breakthrough in Bali last year (June 2009) when I did 2 small capacity building trainings for IDEP staff, using the DVDs extensively during the trainings. Their head trainer Sayu said that she knew most of the content of the training (it was aimed at all staff, many with minimal permaculture background) but she finally worked out how to use the DVD to its full capacity by watching me use it. Previously this method had helped in Aceh and East Timor to encourage and show staff how to use the DVD. However an understandably large gap remained in their knowledge of the content of the DVD compared with mine, and this created apprehension in using it. We have used the DVD, especially the slideshows, in trainings in Darwin to great effect. The Guidebook from East Timor has proved even more popular. 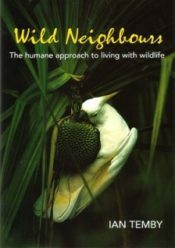 Reviews from Australian Permaculture experts has been very positive, and most of the techniques are instantly transferable to other countries especially those with tropical climates. The practical nature of the information, including the pictures, is the most useful aspect and it fills a gap in published permaculture works, something that surprised me. We (Permatil) are currently looking at creating an international edition of the guidebook, starting later this year. Great work Lachlan – I went looking for the resource (here I think; http://www.idepfoundation.org/whatwedo/getidepmedia/permacultureresources) and from the image of the book, I have downloaded it in the past when I was collecting resources. Awesome information.